The Woodline combines Grub's unique Insu-Foam Ultra technology with advanced 5.0 thermal engineering. Featuring the well tried Herring Bone Duraprene rubber outsole. An ideal shoe for most gardening or leisure activities. Nitrocell insulating and cushioning foot-bed. All Grub’s footwear use our self-insulating INSU-FOAM ULTRA bootie construction which is super soft and super bouncy, with a compression set of less than 7% verses 20-25% for other neoprene boots, so they remain soft and comfortable for much longer. INSU-FOAM ULTRA has a fine micro cellular structure, which stops heat transfer through its structure. The bootie exceeds the long-term effectiveness of waterproof membranes and lofted insulations, such as GORE-TEX and 3M Thinsulate. We use a super stretch Chloroprene material, commonly used in deep-sea dry suits, this material has a 300% stretch and is covered with a 4-way stretch knitted nylon jersey. This means the bootie can stretch up to 150% as a laminate with our super dry, moisture wicking terry knit lining. 5.0 Technology has INSU-FOAM ULTRA bootie lined with moisture wicking terry knit, which keeps the wearer dry and has a super 100% stretch to fit most calves and will keep the wearer’s foot comfortable in a range of -10ºC to 30ºC (85ºF to sub zero) for a prolonged period. Run a little large because unisex. I just wear thicker socks. 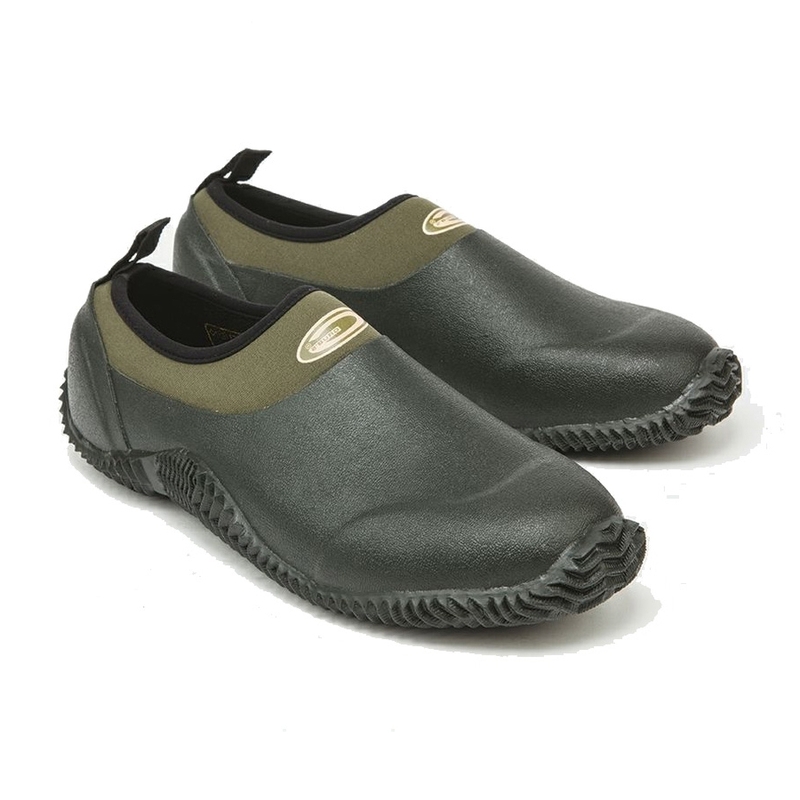 Snug and comfortable fit; warm and waterproof with excellent grip. Have tested on wet and icy pavement. Great time to purchase. I could not wish for a better pair of gardening shoes. They are warm comfortable and I love the soles. Not too deeply ridged as to be dropping mud everywhere. Just what I have been wanting for years! Have a pair of these bought on holiday last year excellent for gardening and walking to see my horse. Comfortable and surefooted much better than trainers! I have had other shoes like these before but this brand beats all others. Excellent fit. Im a size 6 but only needed a size 5 in this brand. Beautifully and substantially made. A very sturdy product. Very comfortable gardening shoes.